Acta Myologica publishes articles related to research in and the practice of primary myopathies, cardiomyopathies and neuromyopathies, including observational studies, clinical trials, epidemiology, health services and outcomes studies, and advances in applied (translational) and basic research. Manuscripts are examined by the editorial staff and usually evaluated by expert reviewers assigned by the editors. Both clinical and basic articles will also be subject to statistical review, when appropriate. Provisional or final acceptance is based on originality, scientific content, and topical balance of the journal. 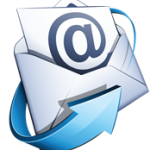 Decisions are communicated by email, generally within eight weeks. All rebuttals must be submitted in writing to the editorial office. (maximum 5000 words, 8 figures or tables). A structured abstract of no more than 250 words should be included. (maximum 4000 words for Reviews and 1600 words for Editorials). These are usually commissioned by the Editors. Before spontaneously writing an Editorial or Review, it is advisable to contact the Editor to make sure that an article on the same or similar topic is not already in preparation. (maximum 1500 words, 10 references, 3 figures or tables, maximum 4 authors). A summary of 150 words may be included. (maximum 600 words, 5 references). Letters commenting upon papers published in the journal during the previous year or concerning news in the myologic, cardio-myologic or neuro-myologic field, will be welcome. All Authors must sign the letter. (maximum 400 words, 5 references, 2 figures or tables). A letter should be included explaining why the author considers the paper justifies rapid processing. Invited formal discourse as a method of instruction. The structure will be suggested by the Editor. either in the form of Selected Abstracts or Proceedings will be taken into consideration. lnformation concerning new books, congresses and symposia, will be published if conforming to the policy of the Journal. Pages should be numbered (title page as page 1). Title page. Check that it represents the content of the paper and is not misleading. Also suggest a short running title. Key words. Supply up to three key words. Wherever possible, use terms from Index Medicus – Medical Subject Headings. Text. Only international SI units and symbols must be used in the text. Tables and figures should be cited in numerical order as first mentioned in the text. Patients must be identified by numbers not initials. Illustrations. Figures should be sent in .jpeg or .tiff format. Legends should be typed double-spaced and numbered with Arabic numerals corresponding to the illustrations. When symbols, arrows, numbers, or letters are used to identify parts of the illustrations, each should be explained clearly in the legend. For photomicrographs, the internal scale markers should be defined and the methods of staining should be given. If the figure has been previously published a credit line should be included and permission in writing to reproduce should be supplied. Colour photographs can be accepted for publication, the cost to be covered by the authors. Tables. Tables should be self-explanatory, double spaced on separate sheets with the table number and title above the table and explanatory notes below. Arabic numbers should be used for tables and correspond with the order in which the table is first mentioned in the text. References. Reference numbers in the text must be in brackets. References in the list must be numbered as they appear in the text. Standard journal article: Figarella-Branger D, Bartoli C, Civatte M, et al. Cytokines, chemokines and cell adhesion molecules in idiopathic inflammatory myopathies. Acta Myol 2000;19:207-8. Books and other monographs: Dubowitz V. Muscle disorders in childhood. London: WB Saunders Company Ltd; 1978. Three index terms, short title for running head (no more than 40 letter spaces) on the title page. Name(s) of the author(s) in full, name(s) of institution(s) in the original language, address for correspondence with telephone and fax numbers and email address on the second page. References, tables and figures cited consecutively as they appear in the text. Figures submitted actual size for publication (i.e., 1 column wide or 2 columns wide). Copyright assignment and authorship responsibility signed (with date) by all Authors. References prepared according to instructions. Patients in photographs not recognisable.